The Embassy deals with the codes of representation used by the former Portuguese colonial power over the West African country Guinea-Bissau, and with modes of memory production. 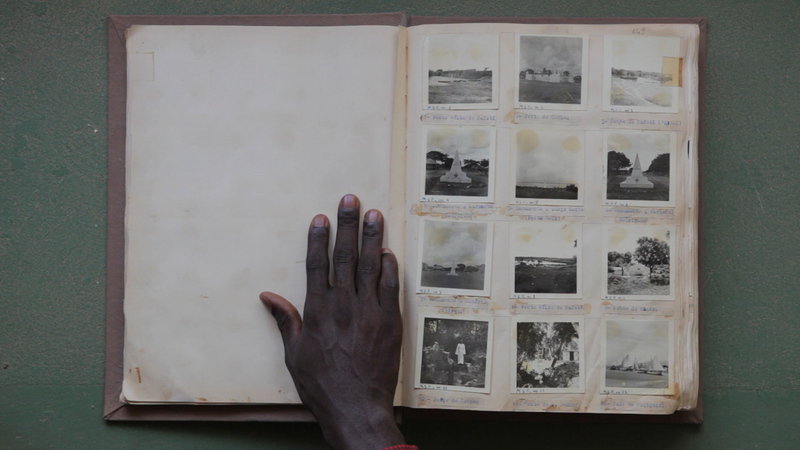 It shows a photo album depicting the perspective of the Portuguese colonist, who photographed with documentary diligence landscapes, people, architecture and monuments in Guinea-Bissau in the 1940s and 1950s. At the same time, this photo display — grabbed, flipped through and re-framed by the hands of the Guinean archivist Armando Lona — is the departure point for a multi-layered narration on the history of these two countries.